Carpet Cleaning Springfield has massive years of experience in the cleaning field and certified techniques that work like magic on your carpets, area rugs and furniture upholstery. Our distinctive expertise and carpet cleaning methods have earned us global recognition and every day we are striving to deliver unparalleled results to our customers throughout Springfield, PA. Steam cleaning and dry cleaning methods have stood the test of time, and are being used by many carpet cleaners. However, these two are not the solution for all types of stains. We have successfully tested and installed the new wave in carpet care technology - namely hydrogen peroxide products. Philadelphia Carpet Cleaning in Springfield use Hydrogen peroxide based products that work continuously until the stain is completely removed. The removal of organic matter from the carpets eliminates the long-standing odor from your carpets resulting in a cleaner and fresher smelling carpet without any odor control treatment. This technology eliminates the use of scrubbing and rubbing and is completely natural, and thus preserves every fiber in your carpet as good as new! Hydrogen peroxide products are ideally suited for carpet cleaning as they do not leave any residue as in the case of other dry cleaning methods. We believe in giving you value addition. Your carpets are returned fresh smelling and bright to maximize the cleaning output. With us you have at your service a dedicated research team who would give you guidance free of charge and keep your carpets beautiful and stain free. 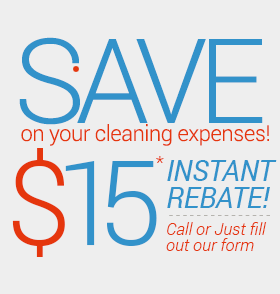 Call us at 856-733-0100 for a free estimate and an unparalleled customer service.